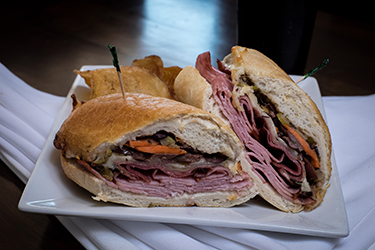 Joe’s Deli offers the best hot deli-style, specialty sandwiches in Buffalo, NY, made fresh for you. 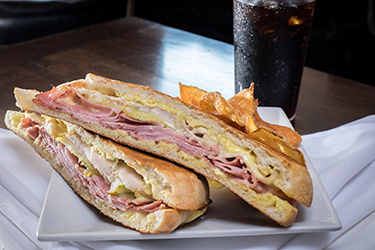 Whether it’s hot out of the oven or pressed on the grill, our homemade deli sandwiches are sure to please. We use high quality, often local, ingredients, to get the freshest taste in the city of Buffalo! 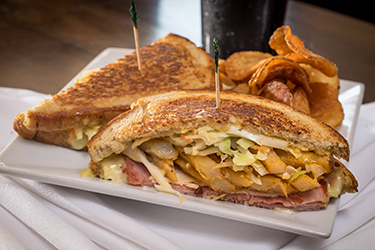 Stop in for our huge, home-cooked 1322 Original Corned Beef, the 534 Elmwood – a brisket with jalapeño slaw, cheddar & BBQ sauce topped with tobacco onions – or our fan favorite, Chicken Cutlet. Order now for pick-up at 716-875-5637 or dine in. Sandwiches come with chips & pickle unless otherwise noted. Fresh cut French fries may be substituted for an additional $1.25. 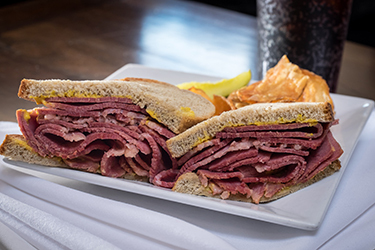 Piled high corned beef or pastrami with mustard on seedless rye. Sahlen’s ham, salami, provolone, and fresh homemade olive salad on a French loaf. 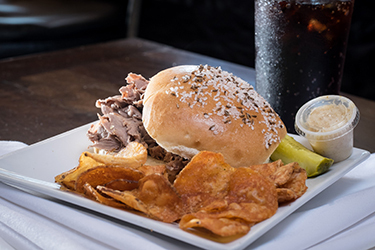 Slow roasted beef dipped in au jus served on kimmelweck roll with side of horseradish sauce. 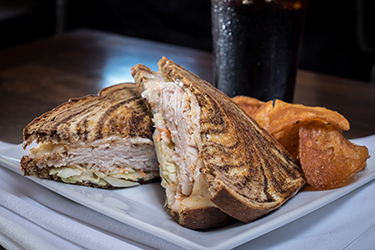 Sliced turkey breast, lorraine swiss, sauerkraut or coleslaw, with homemade Russian dressing on marble rye. 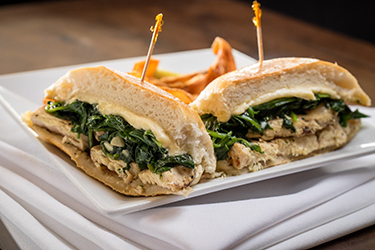 Chicken breast topped with sautéed spinach and pepper jack cheese on a hard roll. Marinated pork loin, Sahlen’s ham, lorraine swiss, sliced dill pickles, and honey mustard on grilled ciabatta. 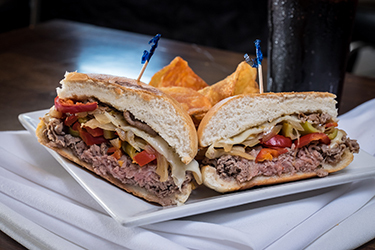 Sliced roast beef with hot cherry peppers, sautéed onions, and melted provolone on a hard roll. 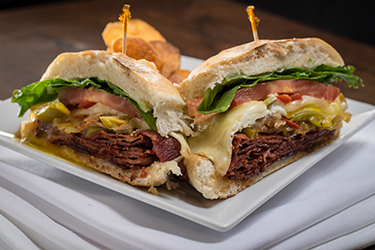 Hot capicola, fried egg, sautéed onions, cherry peppers, and melted provolone, topped with lettuce, tomato, and mayo on a toasted costanzo’s hard roll. 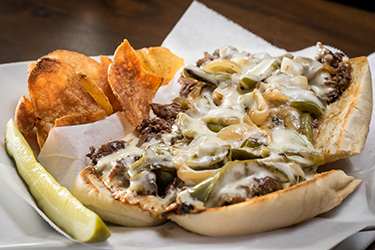 Chopped steak with peppers, onions, and melted mozzarella on a hoagie. 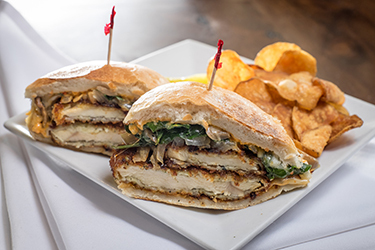 Breaded chicken cutlet with provolone, sautéed spinach, mushrooms, onion, and roasted pepper mayo on a hard roll. 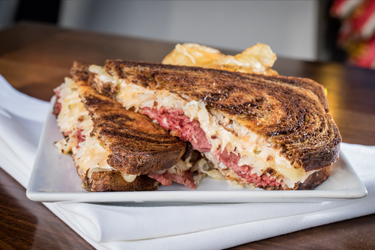 Sliced corned beef, lorraine swiss, and sauerkraut or coleslaw, with homemade Russian dressing on marble rye. 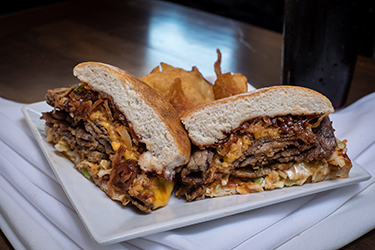 Brisket with jalapeño slaw, cheddar, BBQ, and tobacco onions on a hard roll. Ham, pork loin, swiss/american cheese topped with fries, coleslaw, and honey mustard on seedless rye. 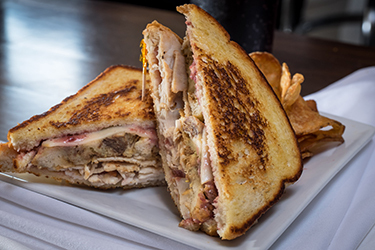 Oven roasted turkey with cranberry mayo, stuffing, and muenster cheese on grilled sourdough. With lettuce, tomato, fries and coleslaw on a hard roll. 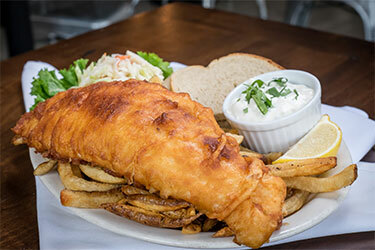 Check the Soups & Specials page for the current tap line-up. We also offer bottled beer and wine. The same great Joe's Deli food is available for events & parties. 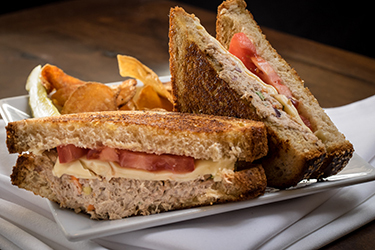 The Buffalo Catering Company provides full-service custom catering for any corporate, individual, or university-related events within Western NY.